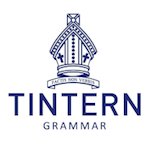 Thank you very much for your generous support of our Tintern Grammar Fair which was held at Tintern Grammar on Saturday 22 April 2017. Read the full thank-you letter here. 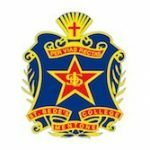 I place great emphasis on the importance of the volunteer work carried out by the St Bedes College students in the overseas countries and it makes me feel very proud to also have your support. Without this fundraising, this valuable outreach work could not be done and it is inspiring for me as a Principal to watch this humbling experience as well as see the joy of the recipients who look forward to us coming each year to bring hope, love and improvement in their lives. I thank you for the kindness, generosity and support. God bless you all. 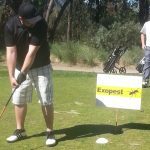 On behalf of Reach Beyond, I would like to extend our thanks to you and Exopest Pty Ltd for your generous support of our inaugural golf day on 11 November 2016. Without your sponsorship support and contribution for the event, it would not have been the huge success that it was. Over 713 million people in India do not have reliable electricity and they are forced to live in darkness? With the money raised from the event, we will be able to have an impact on many lives throughout India with solar panels, LED lights and radios. For us, these are basic items but not so for many people where this will make a huge difference. Thank you again for your kind and generous support and we hope to see you involved again next year! 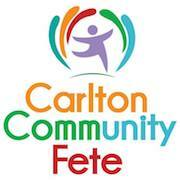 Exopest are proud to be involved with the 2016 Carlton Community Fete, with proceed going towards the rebuild of St Jude’s Church which was damaged by fire when vandals broke in. Bosele House is a dream come true. 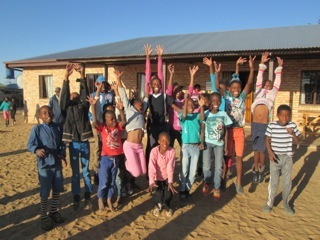 In 2010 during a conversation with the school principal of Bojelakgomo Primary School, Laxey a village in the Kalahari, South Africa she spoke of her dream to build a Boarding Hostel for the orphaned and impoverished children in the village so that they would “attend school, be clothed, fed and encouraged in their education”. 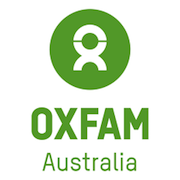 Two Victorian women who were volunteering in the region heard her plea and decided they would assist! Some three years later funds had been raised and the construction of a 32 bed weekly hostel began. In 2014, the building was ready and 30 learners moved in! It had the first flush toilets, showers and many other amenities we take for granted. 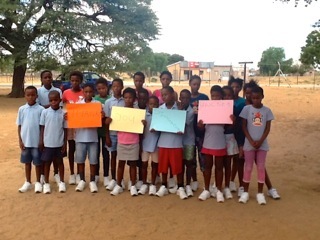 Five learners graduated from Bosele House and primary school in 2015 and they now come back twice a week after school and volunteer to help with recreational activities and homework. – What goes around comes around! I want to thank you most sincerely for the important part you played in helping to raise this much-needed funding. Because of your generosity this Christmas, we were able to raise $3.284m to provide life-changing support to thousands of disadvantaged Australian children this school year. In recognition of your generous support of Disability Sport & Recreation and the Kids Sports Wheelchair Appeal. The friends of Rotary Camera Club wish to thank you sincerely for your gift of a Weber BBQ for our raffle. Your donation has contributed to a progressive total of over $11,000 for a worthy project. The money will be used to build an extension to the small Shri Sringeri primary school in a remote village of Kathmandu, Nepal. The extension, costing around $37,000 will allow some 180 underprivileged children, mainly orphans, to get some form of education, which is vital to survive in this poor, beautiful country. Local Rotary Clubs will manage the project, and all the money raised will be injected into the local economy. Nothing is deducted for administration or other expenses for any Rotary project anywhere in the world, since its 1.3 million members are all volunteers. 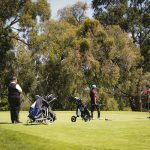 Thankyou for your generous contribution towards helping The Smith Family make a positive impact on the lives of so many thousands of financially disadvantaged children in Australia. Your ongoing support of The Smith Family and your commitment to helping disadvantaged students, enables them to receive sustained access to vital education and learning programs, as well as financial support for their education essentials.We couldn’t do this without you. Thank you for your commitment of regular monthly donations to Anglicord. We are delighted to have your support. TEAR Australia is a movement of Christians in Australia responding to the needs of poor communities around the world. We work in partnership with other Christian groups, including churches, relief and development agencies and community-based organisations, which are working with the poor in their communities. We seek to build effective relationships with these partners, grounded in mutual respect, trust and accountability. Thank you very much for your recent donation to our Water Appeal. Your gift can make our simple solutions a reality – providing family with easy access to clean water.Your genorosity will help communities around the world realise their basic human rights. Thankyou for your participation in Operation Christmas Child! Each gift-filled shoebox brings joy and hope to a child in need… Your gift is deeply appreciated as it helps make Operation Christmas Child possible! We greatly appreciate your partnership with us! Thank you again for supporting Victorians during the Bushfire crisis, you made such a difference. Last weekend I completed what was undoubtedly the most epic run of my extreme sporting career… a 160km foot race over Mt Bogong, Mt Hotham, Mt Feathertop and up around Falls Creek. It took 34 hours 47 mins, no stops. 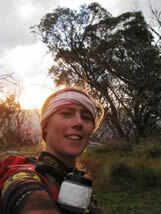 I came home 6th overall and 1st female, taking nearly 2 hours off the course record. How? Why? Good questions. I guess I just wanted to see if I could. I feel at home in the high country, the scenery and the history fills me with an inspiring perspective on the world. I struggled to get the story of such a long journey in to a reasonable length report, so I have pulled together a summary of the good bits; I hope you enjoy the ride. Thank you for your special gift at our Red Shield Appeal Launch. The theme for this year’s launch was “Always there”. It reflects our desire and mission to be there for the people in their time of need. We are there every step of the way, for as long as it takes to get them back on their feet and living to the fullest. In supporting the Red Shield Appeal you are helping to change a life, before it becomes a lifetime.